Erasing browser history on Mac is great when you want to keep it only to yourself. In this guide, you’ll learn how to completely clear Internet history on a Mac, down to the day zero. The process is not as hard as it may seem. For starters, let’s clear up what a browser history is. When you surf the Web, your Internet browser remembers every page you’ve visited, carefully stores all information you’ve typed into online forms, and ties them up to your account (this doesn’t happen only if a user chooses to use the Internet in Private Browsing/ Incognito Mode). Now, the sites that you’ve visited will automatically fill into the Google search line when you start entering their address. They will also be highlighted in violet color among all other Google search results. Besides, the browser will remember the exact time of your every web page visit. This might be helpful when in a while you’ll try to find some website you liked but forgot the exact name. So, why would you need to erase browser history despite its utility? The reasons might be different: from privacy matters and work etiquette to confidentiality of your business. For some people, clearing all and every bit of browser history and seeing it empty might be enjoyable and oddly satisfying. For example, if you share your Mac with other family members or colleagues, you don’t always want them to be able to spot what you’ve been up to on the Internet. How to completely delete browser history? To clear specifically browser history (aside from all other pieces of information, such as caches and cookies), is quite an easy task. Just pick one of the blocks described below that fits the browser you use, and follow the step-by-step instruction. In its top menu, click on the History tab. Choose the time range that you’d like to clear (for example, “all history”). At the top side of the window, you’ll see “Clear the Following Items from…” line. Click it. To remove all the records of your browser about downloaded items, check the “Download History” box. To make sure you clear all the caches and cookies of your browser, you can tick every box in the menu and repeat the steps. Click the blue button “Clear Browsing History,” which you’ll find in the right corner on the bottom of the page. In the upper menu, open History tab. 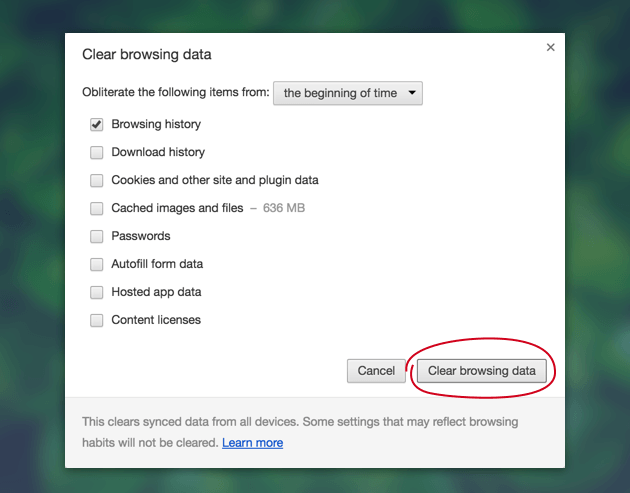 Choose the time span when you want to clear history (for example, “Everything” will erase all history of the browser from the very start). Find the small arrow “Details” and click on it. Finally, hit “Clear now,” and you’re done. 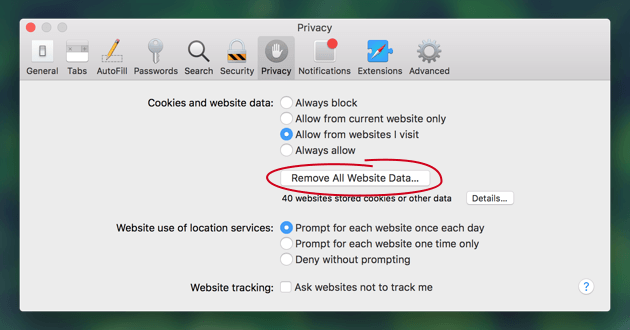 That’s all you need to know about erasing the Internet history in different browsers on your Mac. Keep in mind though that any of your online activity is stored on your Mac in the form of cookies, caches, downloads, and logs. Occasionally clearing your Mac’s hard drive will prevent it from possible bugs and slowdowns. 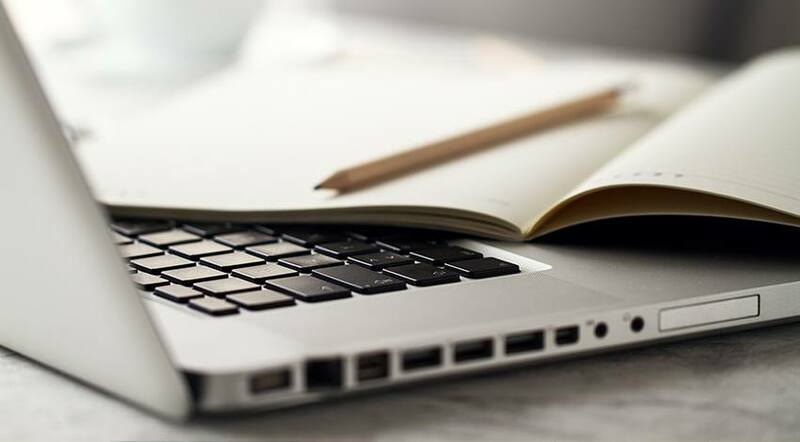 To save your time and effort, you can choose one of the user-friendly apps such as MacProCleaner to get all the work done for you automatically.